Welcome to the Cycle Centre! We are the complete bicycle specialists based in Penzance, Cornwall and delivering throughout the UK. We sell a wide range of mountain bikes, road bikes, electric bikes and BMX – online and instore. New stock will be added all the time, so if you want it: search for it and we’ll add all popular requests. 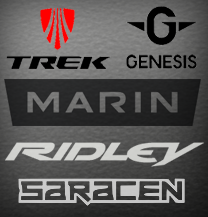 So, whatever kind of cycling you do: racing, commuting, or off-road, we have what you need right here.